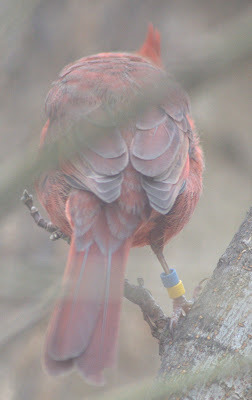 Several of the cardinals that have been showing up at the bird feeder have had bands on their legs. I think this has to do with the research project going on in the nearby Kenney Park. In the spring, when cardinals are nesting, the park has green flagging tape hung all over the place to mark the individual nests. I suppose the researchers might band the young cardinals. They then show up at my bird feeder. Pretty neat. How old are they? 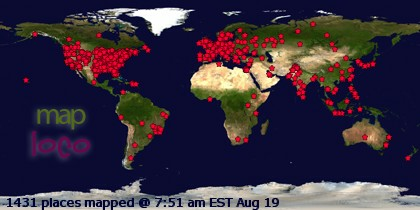 Where have they been? Is my assumption correct that they were born in Kenney Park? 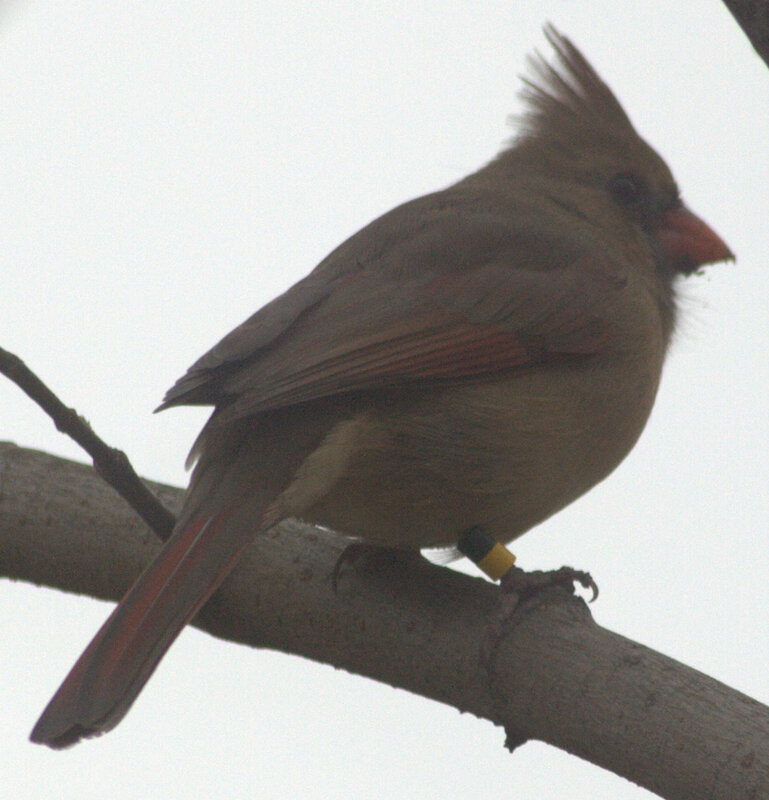 This male cardinal's feathers are tinged with gray. How about that? Scarlett and gray. Was this the inspiration for Ohio State's colors? Nice cardinal shot. He has 2 bands! I'm sure the young cardinals will visit your yard for years to come.